Far too much emphasis has been placed on tools, tools and more tools (especially statistical techniques), resulting in rampant waste caused by poor everyday organizational use of data. organizational language based in process and understanding variation to motivate more productive daily conversations for everyone. 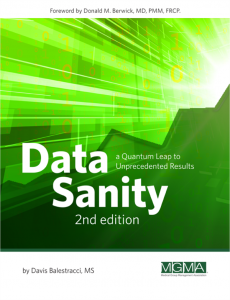 Many high-level executives have no idea of the vast potential that exists to allow their organizations to take a quantum leap to unprecedented results through a common language of data sanity. This will result in new, more productive conversations, meetings, and actions in the everyday use of data. 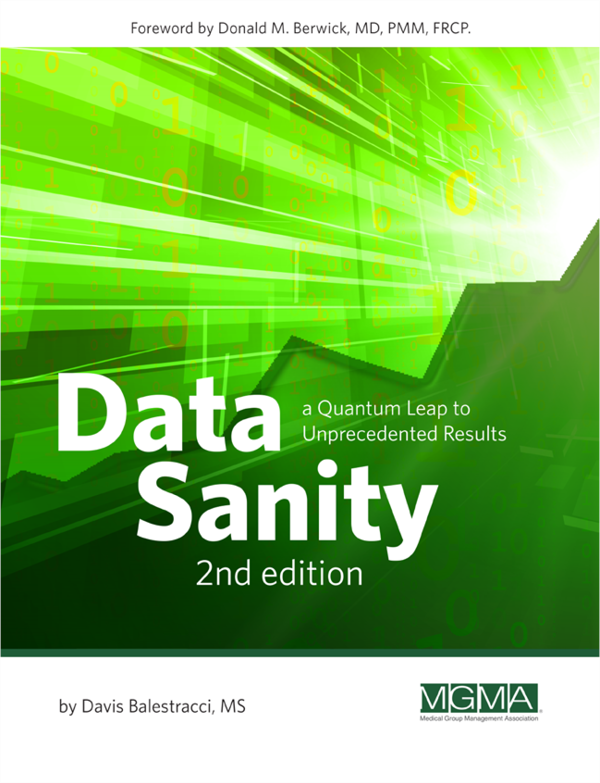 Data Sanity: A Quantum Leap to Unprecedented Results can be ordered through the publisher, Medical Group Management Association (Print Edition or eBook Edition), and is also available through Amazon.com. Foreign subscribers (or anyone having problems with either link) would probably be best served by contacting Craig Wiberg directly at Mail cwiberg@mgma.org. I promise you excellent service! — Stephen F. Tarzynski, M.D. The only performance improvement book you’ll ever need. “I’ve been involved with quality improvement in the healthcare world since 1988. During that time I’ve purchased and read close to 100 books on quality management, lean, Six Sigma, performance improvement, statistical thinking, and systems thinking. Davis’s wonderful book blows the rest off the book shelf. I use it as the only text book in the grad school course I teach on Quality Management. It’s the book I’ve asked all the members of my leadership team to read.